Richard, Duke of Gloucester (later Richard III) was appointed to a number of the highest offices of the realm by his brother King Edward IV, of which one of primary importance was Lord High Constable ofEngland. 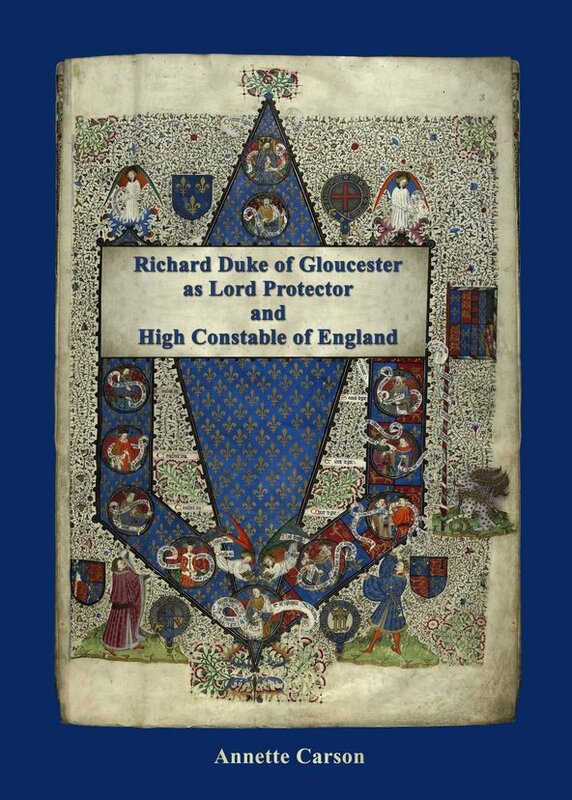 He retained this office in 1483 while concurrently designated Protector and Defender of the Realm during the minority of Edward V.
For a crucial few weeks Gloucester combined in his person two offices whose significance has been consistently misunderstood and overlooked. In effect he held overarching responsibility for defence ofEngland against enemies from outside and rebels within, while exercising summary jurisdiction over the crime of treason. Part I addresses the origins and development of the separate offices ofProtector and Constable, considering their principal 15th-century incumbents and their place in the constitutional framework. It summarizes the laws governing the crime of treason, and indicate show successive monarchs, notably Edward IV, placed increasing reliance on the High Constable and his Court to deliver judgement and sentence in such cases. Part II considers many misapprehensions (then and now) relating to Gloucester’s responsibilities and powers, and examines the principal events during his protectorate in the context of both offices, viewed from the perspective of 15th-century precedent rather than 16th-century hindsight. Appendix X is a full transcription of Chancellor John Russell’s speech drafted for the opening of Edward V’s Parliament.